The residential neighborhoods past El Paso are a mix of small to medium sized homes and trailers. 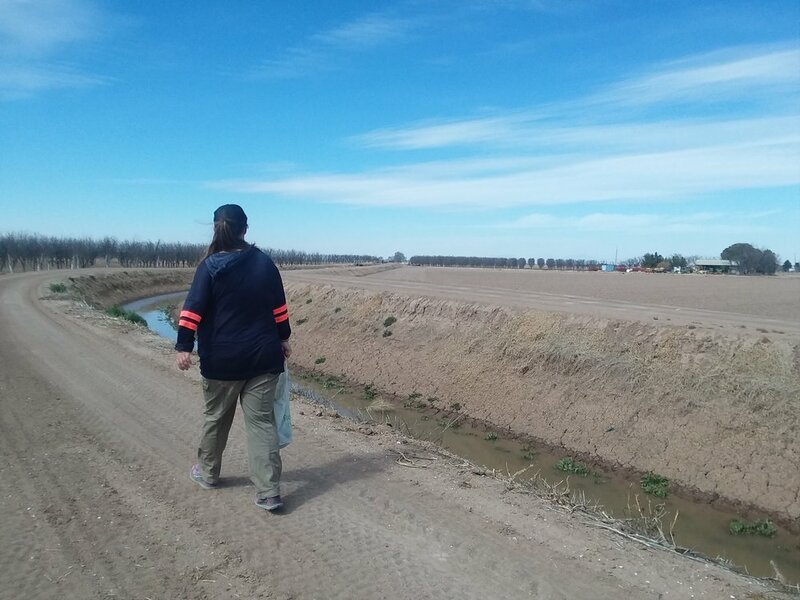 The Franklin Canal runs parallel to the border and we walked along it’s edge to avoid the highway. It cuts straight through the neighborhoods and we spent most of our day trying not to invade everyone's personal space. It was nearly impossible and we frequently caught ourselves examining every inch of someone’s backyard. One residence used their fence as a display case for election signs, piled one on top of another: Vote for Jesus Rodriguez, Ruth Reyes, Morales, Herrera for Judge, Democrat Elect Rosalie “Rosie” Dominguez and “Justice of the Peace” Ruben Nunez, Mary Gonzales Democrat State Representative, Samaniego, Rocha also “Justice of Peace.” This accounts for maybe nine of fifteen total signs. The Democratic Party has pretty consistent control over this area, as they do in most border communities. The Franklin Canal was muddy and smelled like decomposing matter but gosh was it nice to walk along. 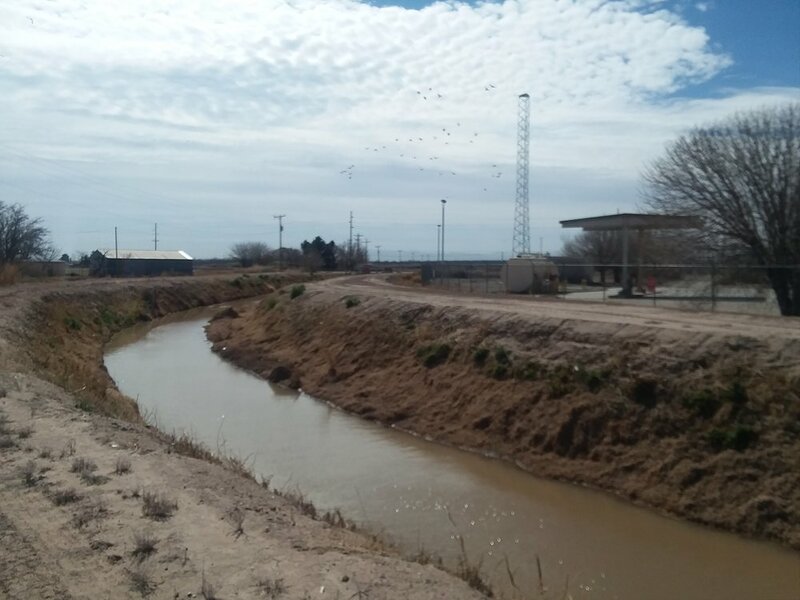 The canal was owned by the El Paso Irrigation System, which we hoped gave us right of way and space that was all ours. All ours? We didn't have to share our route with anyone else and had access to a different scene than the highway and traffic of previous days. It was calm and peaceful and mostly empty. In addition to houses, we passed several small scale agricultural fields. Generator machines and giant pipes were every 50 feet along the canal. Pecan trees! An entire orchard. How wonderful to see rows and rows of trees. 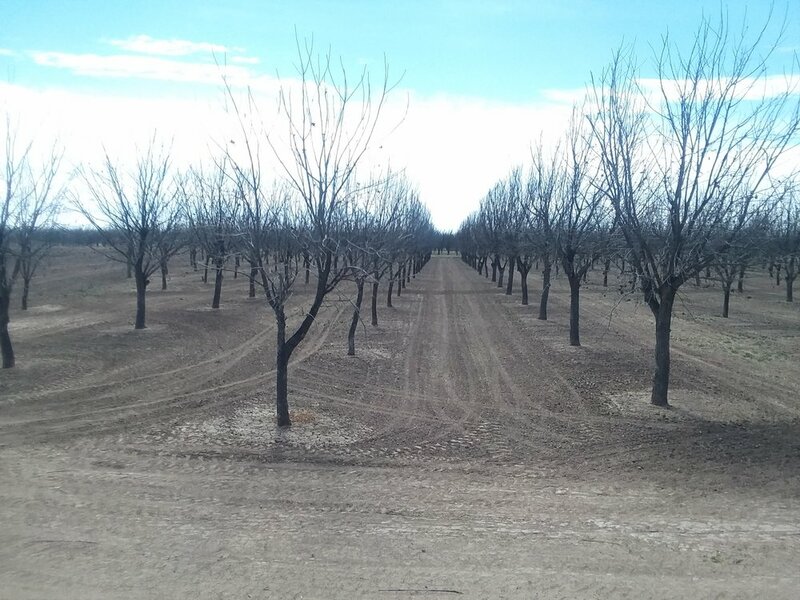 Even if we’ve heard rumor that pecans trees consume a lot of water for a desert environment (150-250 gallons of water per day) we still couldn't help but welcome the sight of trees. Their towering presence on our side reminded us both of the east coast and home. More trailers. They were different colors, aqua green panels on one, baby blue siding with dark blue trim on another, or plush pink trailers with ornate windowsills. 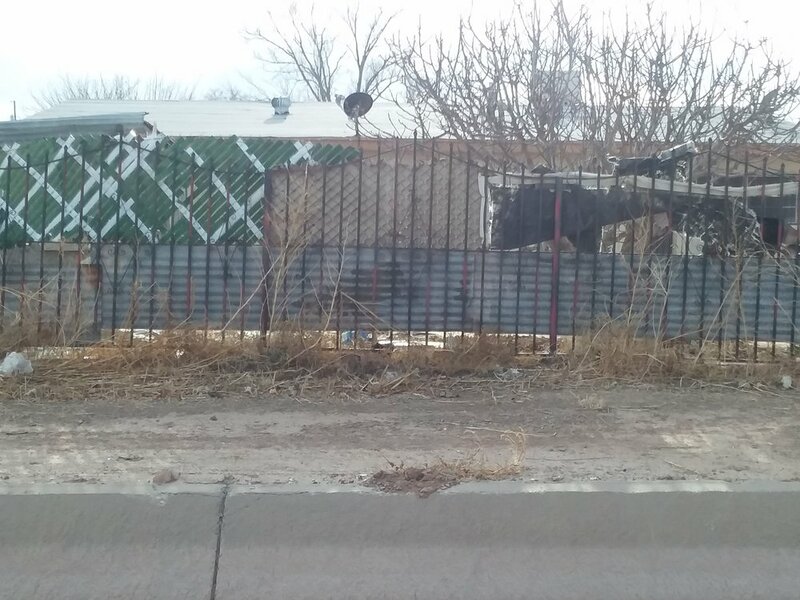 All were protected from the outside by a fence and guard animal. We need animals in our lives! They’re an instant source of happiness. We stopped to smile at and greet every dog that leapt towards us from behind their fence. We saw sheep, horses (even a miniature horse! ), cats, and more goats; brown goats, white goats, black goats. Is there anything cuter than a baby goat? 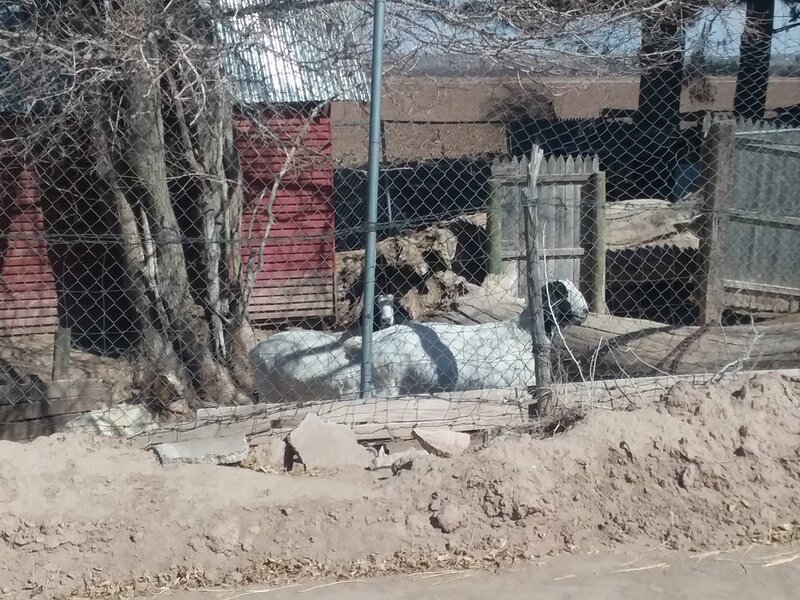 A tiny puppy pawing at the fence between us kept us occupied for at least half an hour. It was paradise. 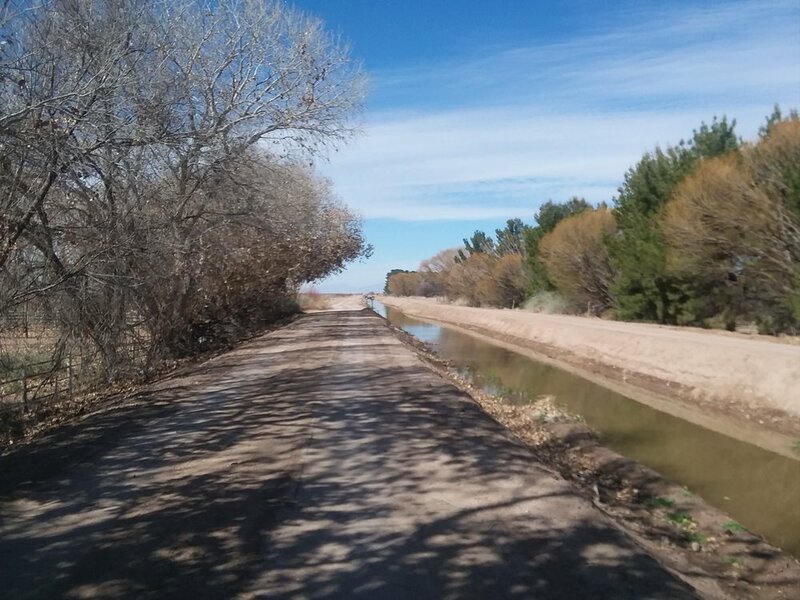 The canal rejoined the road near the end of the day. The vibe changed almost instantly from enjoyable hiking to a chore. Good thing to remember for the future. We were glad to end the day at a supermarket where we resupplyed for our next section. Almost 2 weeks of food! Ugh. Add on all the water and we will be carrying the heaviest packs of the trip. This was our last night in El Paso; tomorrow we will be relocating to the small town of Fort Hancock, our last town for 200 miles.